Dr Farley and Mr Herzog lived in the same building, an old brown brick terrace: the doctor upstairs where he ran his general practice, and the latter downstairs, being the owner of a pharmacy and convenient recipient of all Dr Farley’s patient prescriptions. It was a cosy business arrangement that sprang out of mutual convenience and an old friendship. 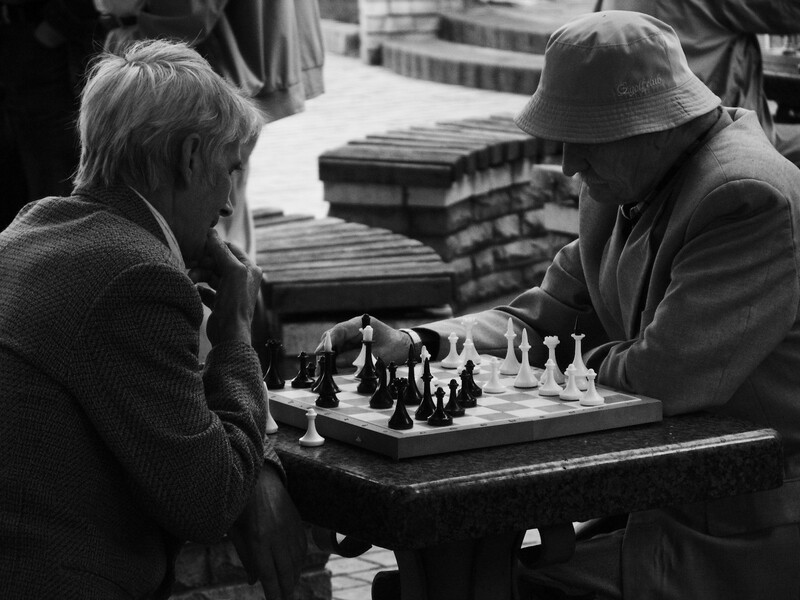 I’d see them often together in the park, huddled over a small stone table playing chess. Mr Herzog the pharmacist was not a good chess player, certainly not as good as his friend, but what he lacked in ability he made up for in tenacity — he would never resign a lost game, choosing instead to play on to the bitter end. I noticed this irritated his friend somewhat, but nothing was ever said. That is, until one fateful day when the good doctor decided to teach his friend a lesson. It was as always: the game was nearing its end and the pharmacist clung on to a hopeless position. “Bah!” replied the doctor and proceeded to take off all of the pharmacist’s pieces, one by one, until only the king stood. “And what about now?” he asked, smirking. The pharmacist said nothing and continued to play. “Stalemate!” shouted the pharmacist triumphantly. I could scarcely believe it. He indeed could no longer move his king and, not being in check, the game had to be declared a draw. The doctor leaped up and smashed the pieces off the board before storming off. They never spoke again, and the pharmacist, suddenly finding himself without his customary stream of clientele, went out of business. I never saw either again.